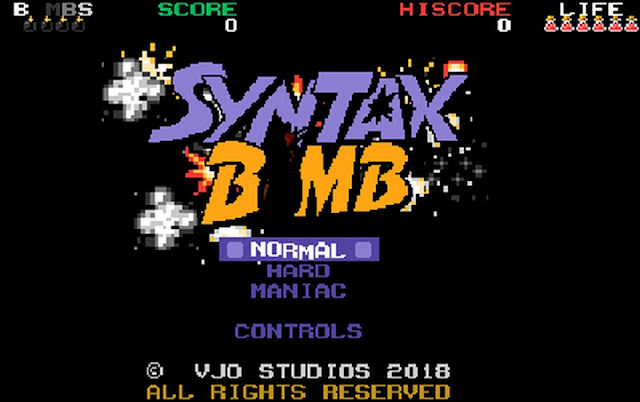 Indie Retro News: SyntaxBomb - Retro inspired platformer with lots of bombastic levels! SyntaxBomb - Retro inspired platformer with lots of bombastic levels! While the Finally Finish Something 2018 Jam is still progressing there is one game that stood out that we just had to mention. Titled as SyntaxBomb and developed by Adam Strange, this game was finally finished for 2018 and features a number of throwbacks to classic games while adding a new twist to the genre. Yes welcome to a game that doesn't just look like Bomb Jack, but there's a bit of Bubble Bobble and even Nebulus thrown in too! SyntaxBomb was developed to conform to 320x200 pixels and ONLY 16 colors, the gameplay involves lots of bomb dropping, fruit collecting and enemy destruction all through 40 fantastic levels. Certainly a fun little game with lots of nods to some very decent retro games!